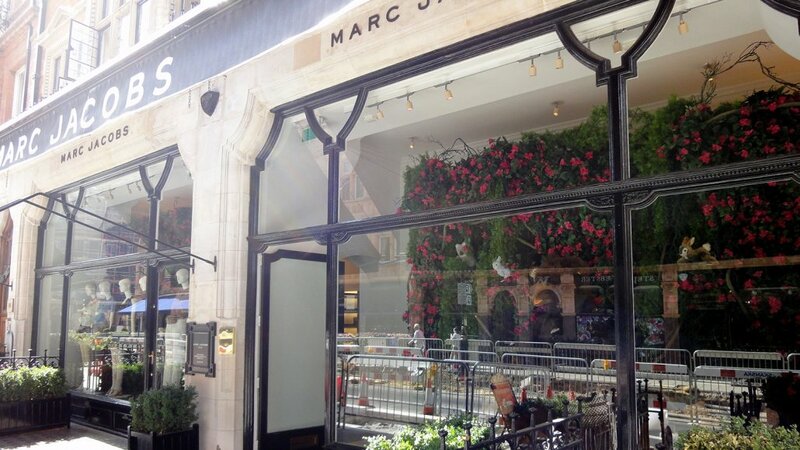 Marc Jacobs adds a sense of American cool to the classical architecture of Mount Street with its London flagship. The Grade II listed, former antique dealer may seem traditional on the outside, but inside, Jacobs’ witty, playful and feminine designs take centre stage. Original features, including marble fireplaces and Palladian windows, have been kept for a sense of individuality at the 2,600 square-feet boutique, which is otherwise largely modelled on the brand’s Paris flagship. Its bespoke furniture has been created by French designer Christian Liaigre, whose London flagship sits a stone’s throw away on Conduit Street. Inside, womenswear, accessories, homeware, and childrenswear collections make it the biggest selection for fans of the unwaveringly trendy designer in the capital. You’ll also find beauty, watches, and books from the brand on sale. Don’t overlook the perfumes either, which are as much a staple of the brand as a bold use of colour. The arrival of the store in 2007 marked a turning point for Mayfair, and the fashion house is largely credited with helping to attract the many other fashionable names that now lie behind Mount Street’s doors. At the time, it was only Marc Jacobs’ second store in Europe and it attracted elite shoppers and celebrity names. Famous friends of the brand include Sophia Coppola, Alexa Chung, Lady Gaga, and Helena Bonham Carter. In-keeping with the neighbourly vibe of the area, Marc Jacobs held his London Fashion Week after party at the nearby Connaught Hotel, which took place the same month as the flagship’s opening. 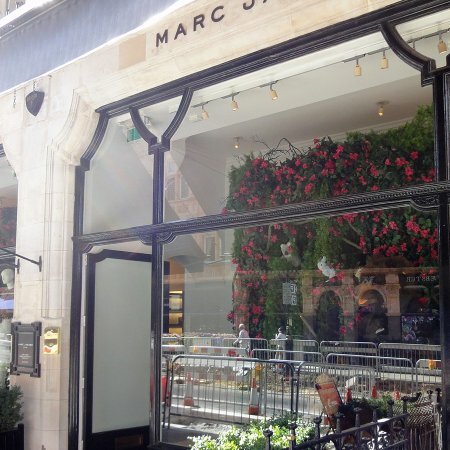 In 2009, they opened the first Marc by Marc Jacobs diffusion line store in London a few doors down on the corner of Audley Street.